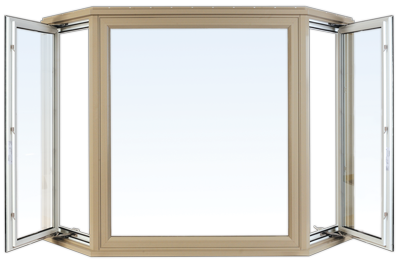 Custom made bay and bow windows add a touch of distinction and elegance to any home. Energy efficient as well as beautiful, Twins Bay Bow windows can be made from many Twins window styles. Twins Picture windows produce a clean, elegant and economical Bay. Bay and Bow windows are generally used in order to make the illusion of a larger space. They help to increase the natural light flow into premises and ensure an enhanced outside view that would have been unavailable if an ordinary window was positioned there. For that reason, bay and bow windows in many urban communities have become an architectural staple. 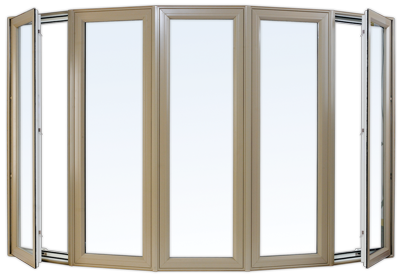 Bow windows are generally composed of 4 or more window units of equal size and have casement windows on each end. Bay windows generally include 3 windows and have two side casement windows, and as well as a large fixed window.